Honey - What is the best one to buy? 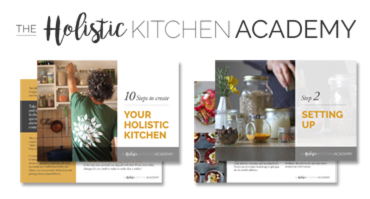 Dear Academy Q&A @ The Holistic Kitchen Academy. Q. What is the best honey to buy? Organic or normal? How can I tell if it is a good one? HKA: Let’s start by saying that honey is precious. It could take around a million flower visits by bees to make one jar. One colony of bees can produce just 50-100 jars per year. In a good year in the UK, we produce only 7,000 tonnes. The large majority of the honey we eat is imported. Since bees can forage up to 12km away from their hives, it is nigh on impossible for a bee keeper to prove that their bees have only foraged organically.There are organic beekeepers but organic honey is more complex. There are certified organic beekeepers but organic honey is more complex. Beekeepers have to meet stringent production standards and conditions to be certified organic. Not only do plants (the bees source of nectar and pollen) need to be pesticide-free, their entire foraging area does too. Organic certification means that no pesticides or antibiotics can be used in the hives. All organic honey in the UK is imported – primarily from Brazil and New Zealand. Natural bee keeping as advocated by The Natural Bee Keeping Trust puts the bees first. As well as minimising chemical inputs and allowing natural behaviours such as swarming, this stance takes a “hands off” approach. Instead of collecting all of the honey from the hive, as conventional bee keepers do (including the honey needed to sustain the hive in winter) they leave enough for the bees to sustain themselves. In conventional bee keeping, the honey is taken from the bees and supplemental feeding with sugar syrup takes place. So actually, it’s more useful to try and buy ‘natural honey’, which is a more sustainable option. Try and buy from local shops or farmers markets rather than from supermarkets. Look for honey from a local producer to you, that way you can ask about their bee keeping practices. Plus there is some evidence to suggest that eating honey from bees that forage within the area you live in, can help you to build up an immunity to pollen allergies, since you are eating your local pollen within the honey. You will know if it’s good from your experience of it, did it taste good? How did you feel when you ate it? If honey is very cheap, then it could even have been blended with high fructose corn syrup (see our Dear Academy question on Sugar Alternatives) or other inferior products. Honey should be expensive. We realise this when we acknowledge the amount of work that goes into creating one jar. So we should be paying a price that represents the true value. If it’s cheap, then some payment has had to be made somewhere along the line. Have a look here at a very interesting blog about raw honey and what it really means.